Twitter is the largest publicly-available archive of human thought to have ever existed. Helen Lawrence from Twitter joined us for this week’s Technology Spectators, H+K’s weekly series of inspirational workshops organised by Director of Social Media Candace Kuss. 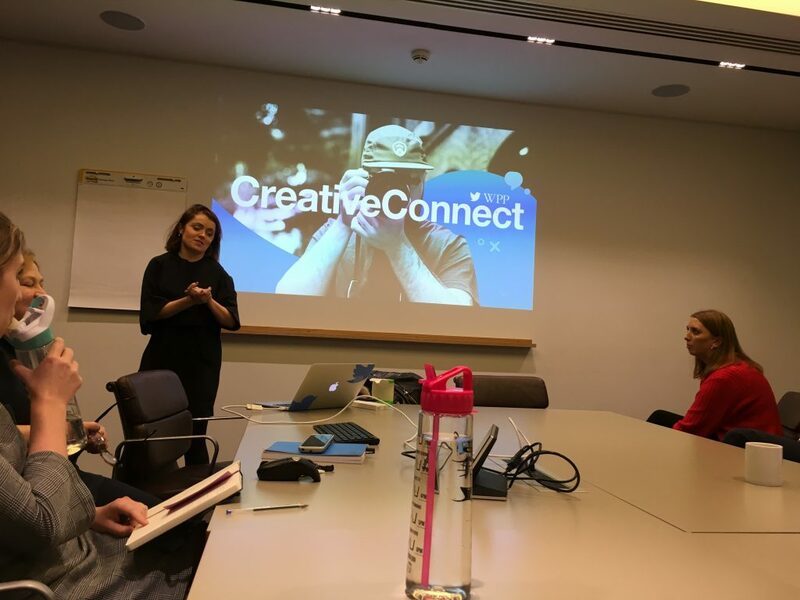 Helen talked to us about #CreativeConnectWPP, Twitter’s new series of events to inform and inspire a global community of WPP agencies on the latest insights, functions and creative Twitter campaigns. She discussed the social media platform’s growth over 2017, and its current priorities: keeping Twitter safe through machine learning and tighter security, making Twitter easier to use by making it mobile-first, increasing the word count and updating content in real time, and by making the content that matters to users more visible. Helen also gave us some insights into new formats and functions that we can look forward to in 2018. A highlight of the talk was having H+K client adidas’ campaign Unlock Agility for the launch of their new football boot Nemiziz showcased as a best in class Twitter campaign. H+K were intrinsic to the launch and campaign, as we collaborated with global publishers to create bold and original content that would engage football obsessed teens. The launch featured a cutting-edge event that was born from how young influencers create content, set up as a ‘creators toy box’ with everything you need to capture great content for your audiences. We also devised and ran bold, innovative media content collaborations that became fully integrated into the launch, such as a world first rebrand of FourFourTwo magazine to the more agile FourThreeThree. Helen also presented other Twitter campaigns that have recently caught her eye: a charity campaign that rewarded engagement with exclusive content, a streaming service’s campaign where engagement influenced the outcome of a TV show, and even a fast-food chain that launched a burger into space while live-streaming it on Periscope. This week’s Technology Spectators session got us thinking about how social media content creators can fully take advantage of all the functions and insights Twitter has to offer to create campaigns that fit perfectly with a brand and its audience. We’re looking forward to seeing how the platform will develop in months to come, and how H+K will incorporate these into client work.